Fair Grant Writing started in 2009 as part of another company Win Global Partners founded by Igor Chigrin and Tatiana Zherebkova. As of 2017 our team includes 16 writers, editors, project coordinators and management employees. Let’s get acquainted. 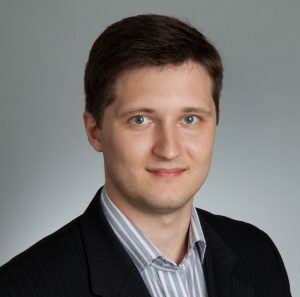 Igor Chigrin is a Business Funding Expert at Fair Grant Writing. He consults businesses on wide range of Canadian government funding and helps them get non-repayable grants and no interest loans for their growth and expansion. Igor has a 10-year consulting experience. He holds a Master in International Business degree from Grenoble Graduate School of Business (France) and a Bachelor in Management degree from International University of Business and New Technologies (Russia). He holds the CITP (Certified International Trade Professional) designation. Igor himself experienced the positive impact of government funding on his other business – an international trade consulting company Win Global. Since then he committed to positively transforming others businesses by unlocking their access to government funding. Since 2009 Igor has been living with his family in Greater Toronto Area, Canada. He speaks English, French, and Russian. His hobbies are cycling and modeling. 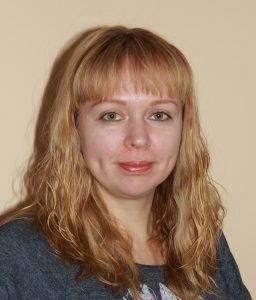 Tatiana Zherebkova is a Business Development Manager at Fair Grant Writing. She is responsible for business development and marketing activities of Fair Grant Writing. Tatiana has more than 10-year marketing experience in different fields such as IT services, education programs (MBA), fast-moving consumer goods. She is a Marketing Program Graduate from Grenoble Institute of Political Studies, France and holds a Bachelor degree in History from the Yaroslavl State Pedagogical University, Russia. Since 2009 Tatiana has been living with her family in Greater Toronto Area, Canada. She speaks English, French, and Russian. Her hobbies are reading, piano playing, dancing, swimming, and cycling. Vivian Li is a Project Manager at Fair Grant Writing. She is a fundraising professional with over 12 years of dedicated philanthropic and grant writing experience. She holds a Master of Arts in Legal Studies from Carleton University, and a Bachelor degree in Criminology and Sociology from the University of Toronto. 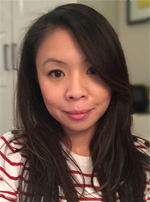 Vivian is a grant writer, fundraiser, and program developer with a diversity of experience related to individual giving, government CFP/RFP submissions, foundation funding, web based peer-to-peer fundraising platforms, and corporate sponsorship development. She has been successful in raising funds for children and youth programming, community health services, SR&ED activities and advanced technology. Vivian currently lives in the Greater Toronto area and speaks English and Chinese. Holly Whitely is an Account Manager at Fair Grant Writing. Possessing more than 30 years of Executive Experience in the Computing/Telecommunication/Retail Industries and having been on various Boards, she is very comfortable in assisting Small & Medium Businesses to identify their strategic programs and how Government Grants can work for them. 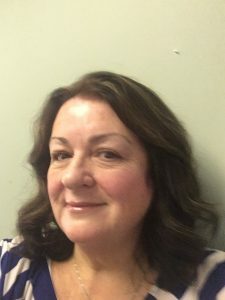 Over the years she has continued her education after getting her Business Degree from the University of Western Ontario, then following up with Executive Programs from the University of Michigan (Human Resources), University of Southern California (Telecommunication Systems) and Harvard University (Marketing). For a number of years, she was involved in a successful Family Antique Business which gives her an excellent understanding of the issues in the Small Business Community. During her career, she travelled both across Canada and internationally, dealing with many different businesses and fields. This gives her the ability to relate to unique circumstances and to provide perspective on the many different challenges that can affect companies in varying ways. She has been a Business Mentor to many students who hold executive positions in our Marketplace. Currently, she lives up north but travels into Toronto on an ongoing basis and will be ready to service our customers whenever needed.